Scottish Tasty Treats Gift Hamper Basket available from Gretna Green. 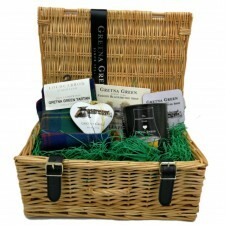 This Scottish Tasty Treats Gift Hamper is filled with delicious Scottish food for all to enjoy. Whether you're sweet-toothed or savoury at heart - this hamper has something for you.